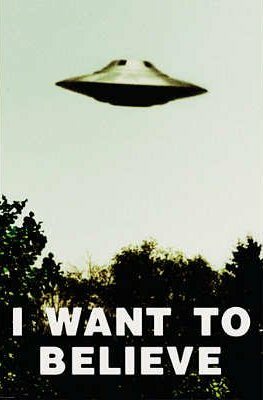 The Best Collection of Unique UFO, Alien, Outer Space & Sci-Fi Products Anywhere! 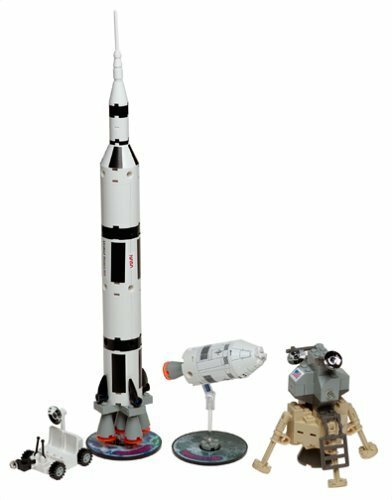 Don't Miss Our Annual Holiday Gift Guides for Christmas & Halloween! 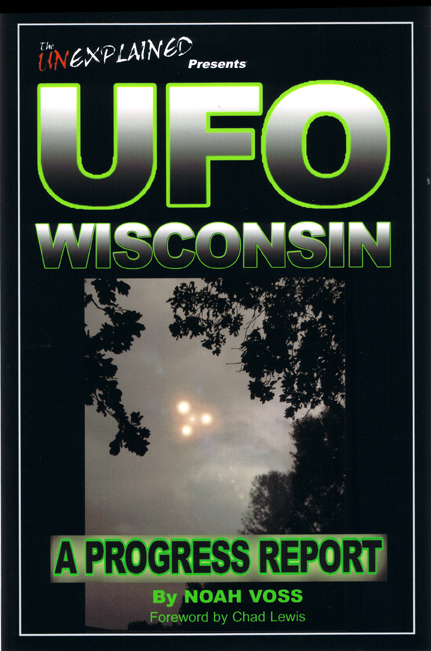 Anyone familiar with the subject of UFOs has seen the hazy, out-of-focus, or grainy pictures of what might be strange craft in the sky, so when a clear picture of an alleged UFO appears it is immediately regarded with suspicion. 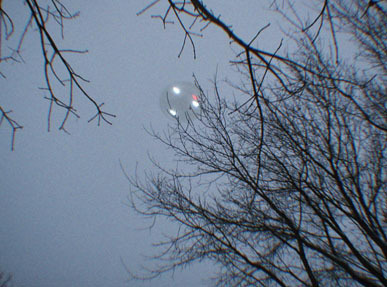 These two pictures are intriguing for what they appear to show - a twilight disk with no obvious signs of a hoax. 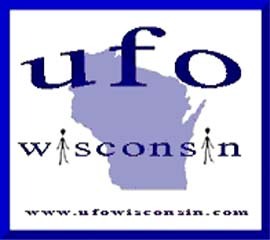 This alleged sighting took place in the vicinity of Weyauwega, Wisconsin early February of this year, as reported in the Feb. 26 issue of UFO Roundup and on UFOWisconsin.com. 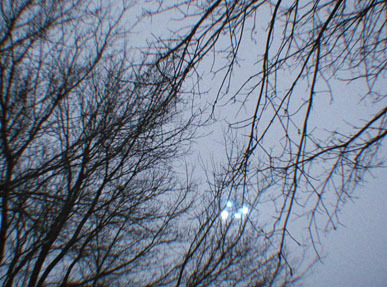 The witness states that she was outside during the evening and happened to notice lights that passed overhead. She says that her impression was the lights were from a balloon, which should be noted, but the photographs that she took seem to depict something other than a hot-air balloon or dirigible. The witness did not provide any further details and has chosen not to say any more about the sightings and photos. This should be taken into consideration when deciding on the validity of the sighting but could indicate a couple of things. The witness could simply be protecting her privacy, not unreasonable in an event as strange as this, or she does not wish to be identified as a hoaxer. In either possibility, the photographs remain interesting and worthy of further scrutiny. This picture clearly shows a circular-shaped object with three bright white lights and a small red light in a position high in the sky relative to the photographer. The camera appears to be well focused on the object in comparison to the trees in the foreground with enough light remaining in the sky for good depth-of-field. The object appears to be behind the branches of the tree in the foreground, with the notable exception of the light on the lower-left portion of the disk. However, because of the brightness of the lights (which is more evident in the second photograph) it would be consistent that the thin branch would be washed out. Also notice there is a small branch evident in front of the much dimmer red light. We can see no obvious digital manipulation of the image, such as smearing from a digital 'paintbrush' or inconsistencies where the object might have been carefully masked to appear as though it were behind the branches. The object also appears washed out in the image, which is consistent with how an object might appear at a great height during a cloudy evening. This would say that it wasn't an object simply hoisted behind a tree or some kind of lighted frisbee. 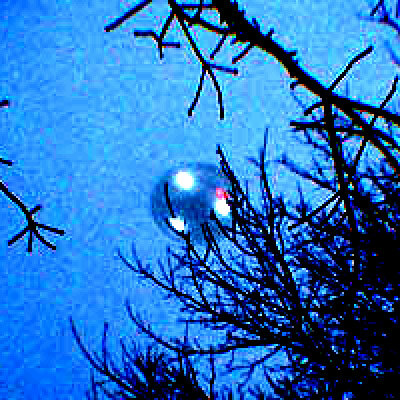 This picture shows a disk-shaped object with four lights with an aqua cast in a position lower in the sky relative to the photographer than the first. Although less distinct than the first photograph, a circular or disk shaped outline can be seen through the tree branches. Similarly to the first picture, the object seems to be behind the tree. This picture is less compelling than the first, but it, like the last, shows no obvious sign of digital tampering. While there is nothing apparent in these images to give reason to doubt there integrity, there is still no way to be absolutely certain they were not faked. They were apparently taken with a relatively low-end digital camera, but there are plenty of ways that they could have been made to appear that way. If the pictures had been taken with a 35MM camera and the negatives were available for evaluation, we could be much more certain about their legitimacy. With those reservations aside, I am intrigued by what they do show. If real, these pictures are some of the clearest I have seen of a low-flying daylight disk. Now, it's possible that Goodyear or the nice folks in the Air Force decided to send a top-secret prototype blimp to buzz Weyauwega, but I doubt it.